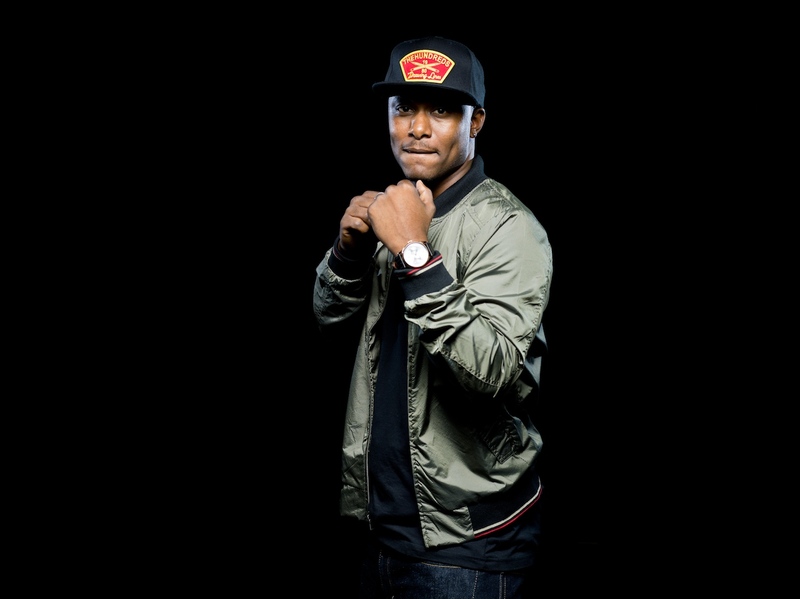 Following a successful debut record, KB released the successful “100” EP last year. 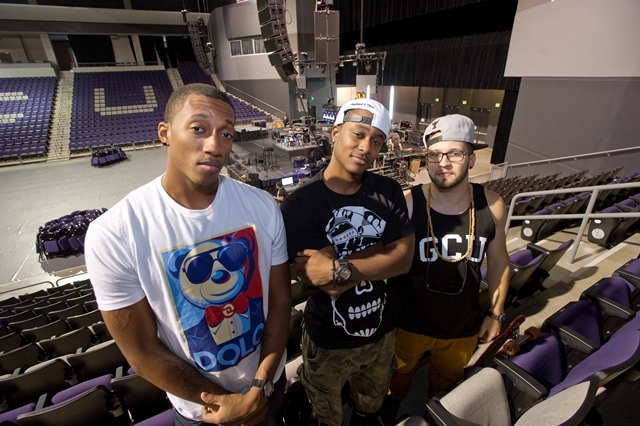 The title cut from the EP went on to win the Rap/Hip Hop song of the year at the Dove Awards. Since, KB has been in the studio working on his 2nd record, “Tomorrow We Live”. KB and I recently talked about his new single “Sideways”, his relationship with Lecrae, the upcoming record, and his thoughts on the upcoming Mayweather-Pacquiao fight. Gabe: Tell me a little bit about your new single Sideways. KB: Sideways is a song that I teamed up with “Cobra” which is a production group that I work with on a majority on my album. They’re from Atlanta, Georgia. And of course, there’s Lecrae. So it’s a combination of “Cobra”, Lecrae, and myself. I heard the beat that “Cobra” made at first…this hard-hitting beat that makes a statement. I crafted the hook around the idea of being sideways. And it just came together with all of us together. We laid down verses and it turned into a track that people from all walks of life have come to enjoy. The song is about the everyday reality. It’s something I’ve experienced everyday being young, being serious about God, and being a rapper. You go onto one of our tour buses and you see babies with our wives. There’s no drugs or anything like that that. It’s very family oriented. We’re young so our lifestyle seems to be contradictory to what we should be in people’s minds. So we’re embracing the peculiar anomaly. And also, Sideways is sort of a play on words that’s talking about this reality: This sideway reaction that we get…We’re cool with that because we’re actually being held up in grace. So we are sideways leaning completely on the presence of God. I don’t need the world’s approval or affirmation because I’m already sideways in the presence of God. And so that’s what this track is celebrating. That sounds fun. That sounds hype. That sounds turnt. KB: (laughs) He totally stole it! Gabe: (laughs) I’m not saying anything! Anyway, what’s that been like for you to watch him get the acclamation and then give that glory to God? KB: It’s definitely been inspiring. One of the songs on my upcoming album is called Ima Just Do It and the second verse of the track is about how Lecrae has inspired me. More recently, the day that he found that his album was #1, he was in a 12 passenger van with myself and a couple other guys. We were headed to a prison to talk about Jesus and do a non-publicized private concert for the inmates there. And to this day he hasn’t said anything about it. I’m the only person that was really vocal about it. It’s those types of things…Seeing him realize how great it is to have these awards and acclamations but also how fleeting and insufficient they are. They don’t change the taste of water. Water tastes the same even if you have a Grammy. The colors are still the same colors. It doesn’t change anything in reality. So it shouldn’t define you. Although it certainly advances your career, career advancement should not be your goal in life. To see him live that out consistently has been encouraging and inspiring for me. Gabe: Well, you’ve had some success of your own. 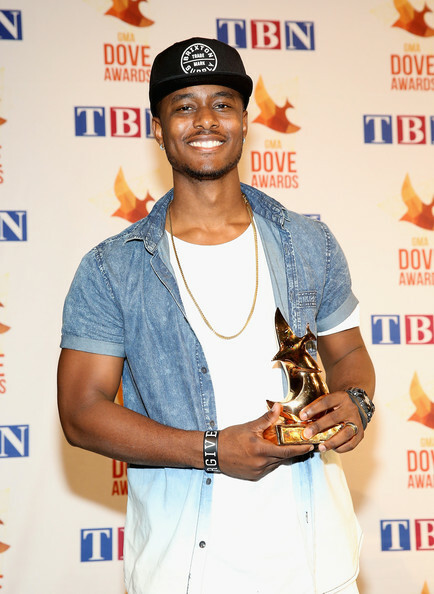 Your song 100 won the Dove Award for Rap/Hip Hop song of the year in 2014. How have you kept yourself humble especially while guys like Andy Mineo, Tedashii, etc keep putting out great albums? KB: For me, it’s been pretty simple. It’s just knowing who I am before God. I just tweeted something before I started talking with you about how rappers get really angry about what people say in comments sections. People bring charges against them and what not. I think it’s always good to remember that you’re always trying to make yourself more righteous than you actually are. When you’re on Twitter, Facebook, Instagram…even when you’re with people day-to-day…You wanna put your best foot forward and seem to be more put-together and better than you actually are. A lot of times you’ll start to fight for a perception of yourself. So when people say things about you, you get upset because it doesn’t really match what you want them to think about you. But if you were honest, you would realize you might actually be worse than anything they could actually say about you. The things that you’ve done, the things that you think, the things that you’ve said… We’re all in need of grace than we’re willing to admit. So when these people are saying these things about you, they aren’t even the worst things! You’ve done more worse things to yourself than the worst things that can come out of comment sections. They’ll never be able to match the self-infliction that you have had by merit of being a sinner. So it’s good to be humble before God and realize “I’m a lot smaller than I want people to think I am”. When people do or say things that make me feel that way… Sure, there are times when people aren’t treating you fairly according to your work and you do need to fight for that… But in other times, you just need to be humble and let people be people. Give grace. What I’ve tried to do is stay in that space where I’m not to big to be disagreed with or disliked. I have to realize that everything I have is a gift. All my talents, my music, my team…It’s all a gift. And if it’s a gift, then what room do I have to be boastful? So I keep that in front of me. I normally just keep on trucking no matter what it is, good or bad. Gabe: One of the biggest stories of last year was a hot button topic that a lot of people have disagreed about: the race riots in Ferguson and all that’s included with that. Why do you think that, in 2015, we still are hating each other because of our differences? KB: I think because it never stopped happening. I think that for a lot of people…They see Barack Obama as President, they see black people in their school, they see black business owners, doctors, and lawyers… For them they think we are a post-racial society. They think that racism is something we are past. But really we never did get past it. You think about it more broadly… The Civil Rights were in the 1960s. That’s 50 years ago! That was in the lifetime of people that are still alive right now. This isn’t like some 500 year old thing. What we’re starting to realize is that this goes in cycles. What happened with Trayvon Martin and Eric Garner is a pattern. Things like this happen and people get riled up about it throughout the nation. After awhile, things start dying down. Some time passes and another incident happens again. So for the black community it’s a cycle. I think what’s happening across the nation is an awakening. Every generation has an awakening where we see that we still have a long way to go with racial reconciliation and balancing out the scales. There are people who may not have the voice to articulate what they’re going through unless it’s through violence and rioting. But that doesn’t take away from the fact that they’re struggling and going through some serious things. I think what is happening is that people are becoming more aware. As an artist and as an activist, I want to pick up the mantle of those that came before me. I want to empower the disenfranchised and the under-resourced. That’s how we will overcome this. We won’t overcome this with millions of conferences and panel-discussions trying to get white people to see that they’re privileged. That’s not the way to go about it. It’s about building institutions, empowering the disenfranchised, and moving forward into a more integrated society where people are equal. Gabe: I read that you went to South Africa and went a lot of other places to work on your upcoming record, Tomorrow We Live. What are some other inspirations that will show up on this record? KB: You’ll see some instances from our community. I have a song on there about my love for people…particularly God’s people. I love Tampa…My people are here. The folks I serve and care about the most are here. I’m in the hospitals, the nursing homes, the homes…I’m in there where things are messy. I’m committed to the people here in Tampa. So a lot of their stories will bleed into what I do. There’s a guy that we knew about 6 years ago that committed suicide… I have a song on my album that based on his story. So there’s a lot of inspiration just from being in people’s lives. There’s no shortage of inspiration when you’re around where life is being done. Culture breeds creativity. But you have to be in it… You can’t just be hanging out with the top 1 percent. You can’t just be hanging out on flights and in the green rooms. You have to talk to and meet with people. Gabe: Ok. Serious question. And I asked Trip Lee this so I want to see if you have the same answer. If you’re playing basketball with your Reach Records guys and you’re the team captain, who is your first pick? Gabe: That’s what Trip said! Ok… Who is the biggest trash talker? KB: Who talks the most trash… That’s a good question. Gabe: He said Derek Minor talks the most trash. KB: Ooh yeah. Ok! I would definitely agree with that! Derek Minor takes it personal if you say you’re better than him on the court. He’ll say “let’s go find a ball and a court right now”. I don’t really care, man. Now if it comes to boxing…I will talk a lot of trash when it comes to boxing. Boxing is my passion. Gabe: You have a Pacquiao-Mayweather pick? KB: Oh yeah! I’m going for Pac-Man! It’s time for Floyd to come off the throne. And Pac-Man might very well be the man to do it for us! So I’m definitely rooting for Pacquiao. Gabe: That’s who I’m rooting for as well! Hey man thanks for your time. God bless. This entry was posted in art, Christianity, hip hop, human rights and tagged andy mineo, anomaly, derek minor, dove award, floyd mayweather, grammy, kb, lecrae, manny pacquiao, propaganda, reach records, tedashii, triplee. Bookmark the permalink.